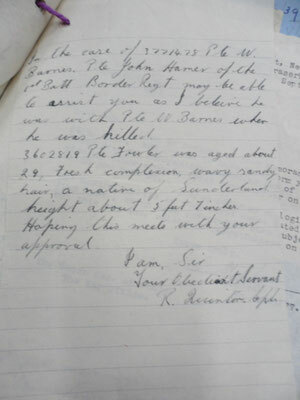 1st Battalion, The Border Regiment went into to battle with 788 men, 119 were killed, 22 of them are missing since. 1.C.10, Mass grave in front of Tafelberg Hotel- B. Company soldier. 2.C.17, In front of Hartenstein Hotel. 16.B.19, In front of Tafelberg Hotel. 17.A.15, In the garden of the Pieterberg house, Pieterbergseweg, Oosterbeek-a Corporal. 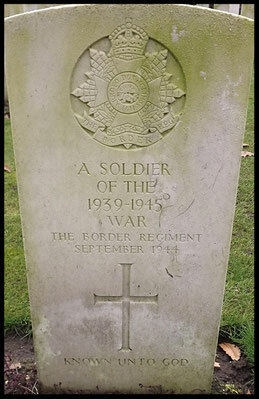 17.A.20, In the garden of the Pieterberg house,Pieterbergseweg, Oosterbeek-A.Company soldier. 18.A.6, In the garden of the Hemelsche Berg house. 22.B.20, In the garden of the Pieterberg house, Pieterbergseweg, Oosterbeek- a Private. 23.C.13, under cycle path Utrechtseweg 243, Oosterbeek in April 1981. 25.C.2, Airborne, Along Benedendorpsweg, near the Lower Road to the Westerbouwing restaurant, 13-12-1995. 30.C.5, In a field North bank of the river Rhine, south of the Old Church. 31.B.4,20 yards east of the Oorsprong house on Van Borsellenweg- A.Company soldier. Next of Kin: Husband of Ina Johnson of Carlisle, Son of Mr and Mrs G. Johnson of Coppull, Lancashire. KIA Information: Known to have been shot in the leg, and died of his wounds sometime after. 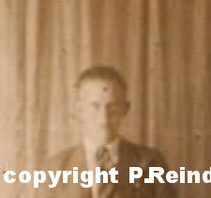 Next of Kin: Son of Henry E and Maud A.J. Crimmel, of Canvey Island, Essex. KIA Information:Said to have been killed at the Westerbouwing when an enemy tank opened up at close range, on the 21st September 1944. The platoon positions were overrun, and the private had to be left behind. 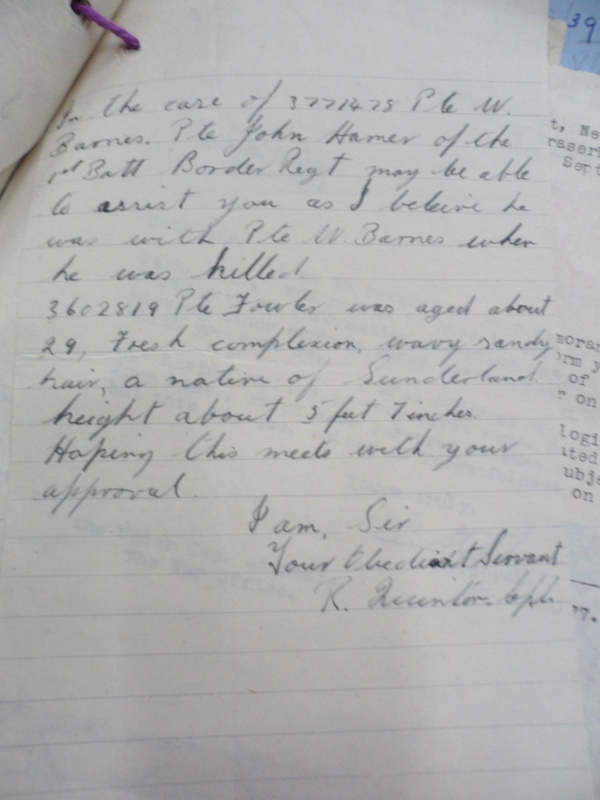 However in May 1949, a search for his body was done in the grounds of the Dennoordhouse grounds, Which resulted in the find of the body of Private E.W. Cobb. Next of Kin: Son of Samuel and Maggie Aston, of Barton, Cheshire. KIA Information:Known to have been killed by German Machine gun fire on the Westerbouwing Hill. His body was taken to 11 Platoon Headquarters at the restaurant building, where he was last seen. Next of Kin: Husband of Dorothy L. Wall of liverpool. KIA Information:No specific information available. Next of Kin: Son of Jesse and Ethel Jane Midgley, of Rochdale, Lancashire. 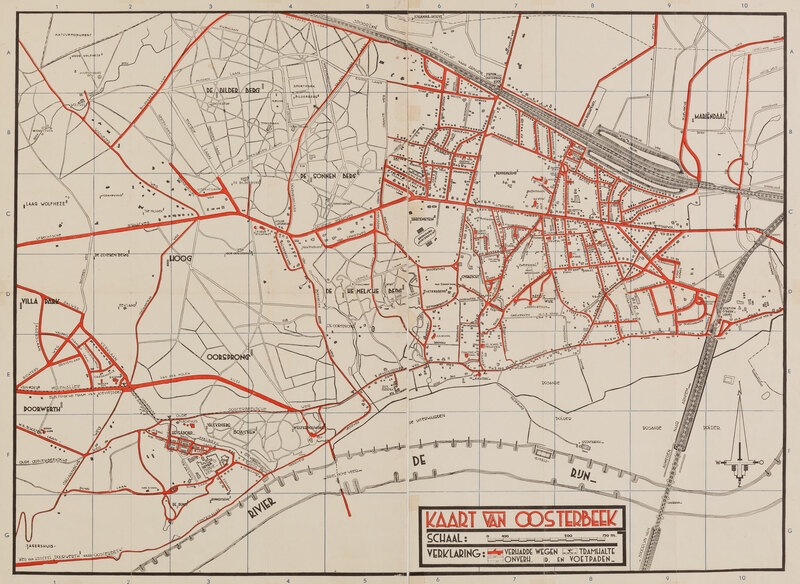 KIA Information:Said to be hit by a shell at the corner of Van Borsselenweg and Wolterbeekweg, Oosterbeek. His body was completely obliterated. However there is also a statement that he was being treated for injuries in a field hospital and that he died after shell had hit it. 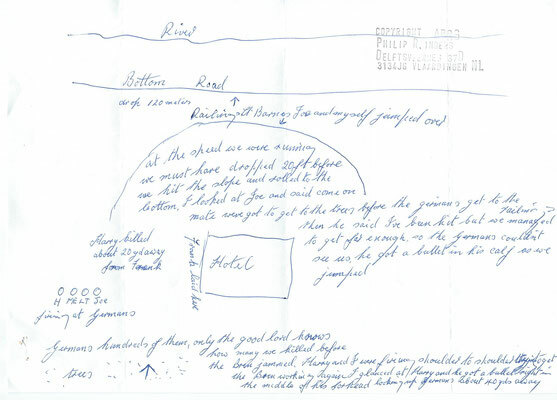 The unknown Border in grave 16.B.19 on Arnhem-Oosterbeek War cemetery holds some remarks which might indicate that this could be the body of Private Midgley. 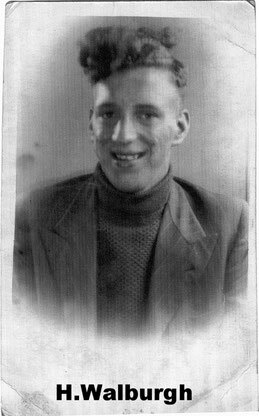 Next of Kin: Son of Emmanuel and Annie Hird of Hanley, Staffordshire. Cheshire. and to have died from his wounds while treated at in a Casualty Clearing Station or field Hospital, when this was hit by a mortar bomb. His wallet was found inside his smock on 22-09-1944, at the Landingzone around Jonkershoeve by a Dutch civilian, whom kept it. It was shown on a exhibition on the Ginkel Heath in September 1969, it was then handed over to his mother. KIA Information:No specific information available, exept that he was listen by the MoD as Lance-Corporal. Next of Kin: Son of Mr and Mrs J.W. Hardy, of Edlington, Yorkshire. Next of Kin: Husband of Margeret Cervi of Southrey, Lincolnshire. Son of Gladys Cervi of Manchester. 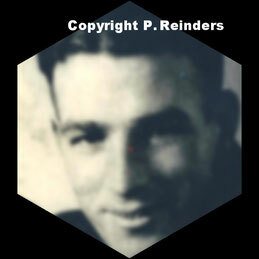 Known to have been killed in defensive positions in the Van Lennepweg area on or shortly after 21 September 1944. Next of Kin: Husband of Annie Melling of Wigan, Lancashire. Son of Thomas and Helen Melling. 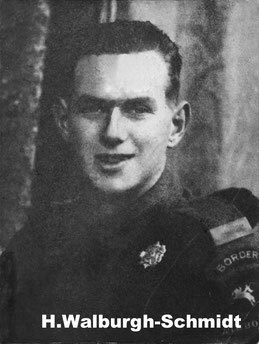 KIA Information:Known to have been killed by a German sniper on the Westerbouwing area, south of the restaurant building on 21 September 1944, according to the MoD records he was buried in a collective grave in or near a wood. Next of Kin: Husband of Lily Barnes, of Bootle, Lancashire. 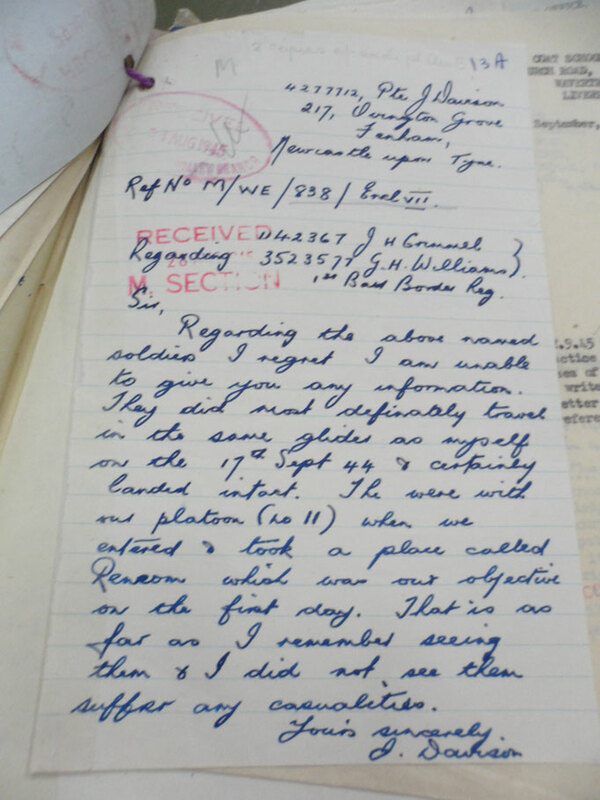 KIA Information:Known to have been killed in the afternoon of 21 September 1944. 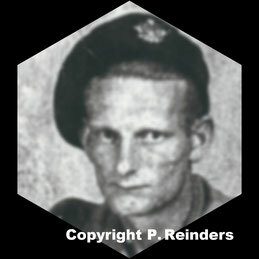 He was shot on the Pietersberg Estate near 1st Airlanding Brigade Headquarters, he fell in the main pathway, but had to be left behind. Next of Kin: Son of John Eden and of Mary Elizabeth Eden, of Ribbleton, Preston, Lancashire. KIA Information: According to records, he died of wounds in a First Aid Post. Next of Kin: Husband of Edith Mary Fidler, of Workington, Cumberland. 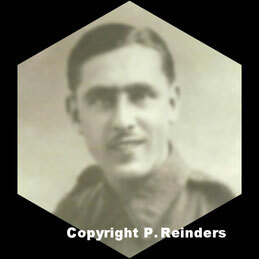 KIA Information: Known to have been killed by a shell in a trench next to a house on the Hemelsche Berg estate. Possible the unknown Border soldier at Arnhem-Oosterbeek War Cemetery Grave 18.A.6? 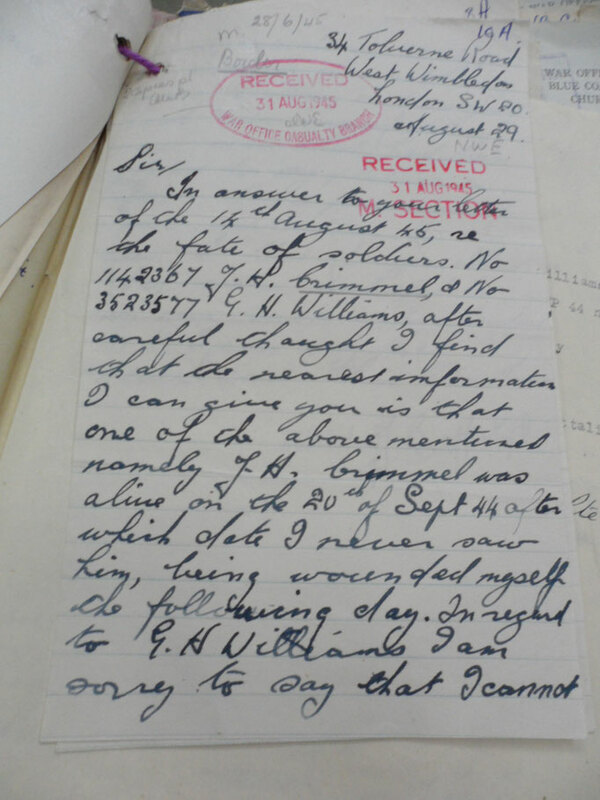 Next of Kin: Son of Willian and Lucy Beck, of St Helens, Lancashire. 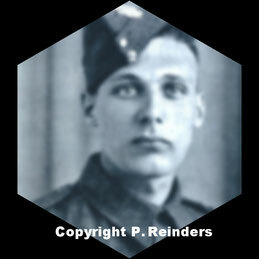 KIA Information:Known to have been killed by a shell in a trench next to a house on the Pieterberg estate. But also that he was possible killed near the Hoog Oorsprong Estate on Van Borsselenweg. Possible the unknown Border soldier at Arnhem-Oosterbeek War Cemetery Grave 17.A.20? KIA Information:Known to have been killed in D company positions west of Van Borsellenweg No.32 (Oorsprong Estate). Next of Kin: Son of George D and Jane Bragg of Egremont, Cumberland. 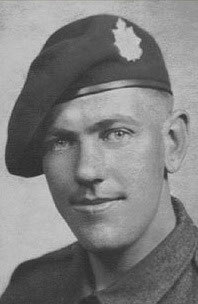 KIA Information: Known to have been killed on the Westerbouwing, whilst operating a Bren gun, by a gunshot wound to the head. 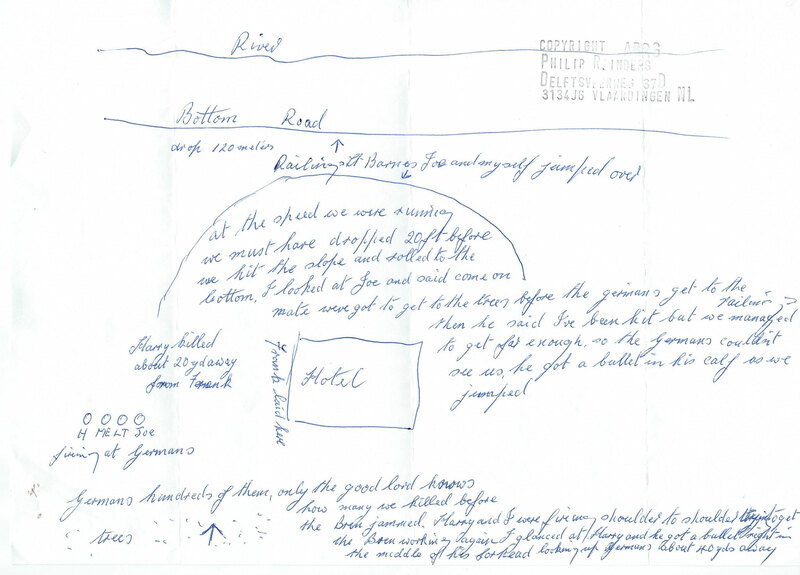 According to the MoD he was buried in a collective grave in or nearby woods. 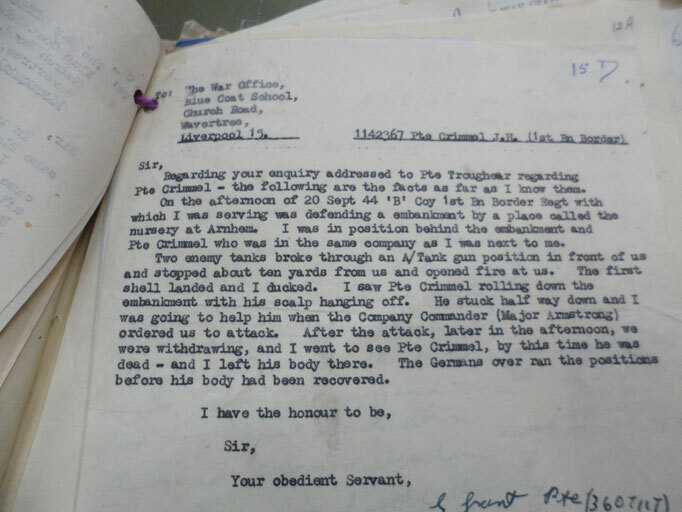 Information provided by a member of the Border Regiment about the death of Henry (Harry) Bragg. Next of Kin: Husband of Eileen Williams, of Swindon, Wiltshire. 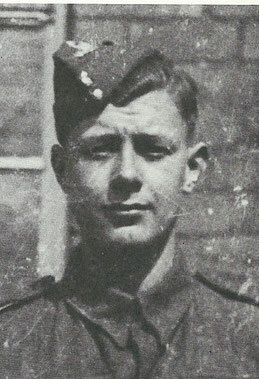 KIA Information:Known to have been wounded twice and taken by jeep from company Headquarters, Veerweg 5, Oosterbeek to the Battalions Regimental Aid Post in the Dennenoord House on the Benedendorpsweg, However he never arrived there, MoD records stated that he was buried one mile west of Oosterbeek. 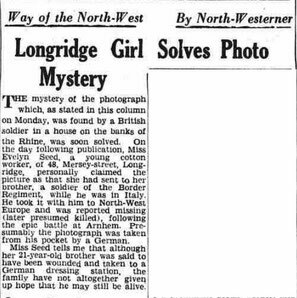 Next of Kin: Son of James and Betsy Seed, of Longridge, Lancashire. KIA Information: Believed to be died of wounds. Next of Kin: Husband of Florence E. Fowler of Monkwearmouth, Sunderland, Co Durham. Son of Harry and Alice Fowler. 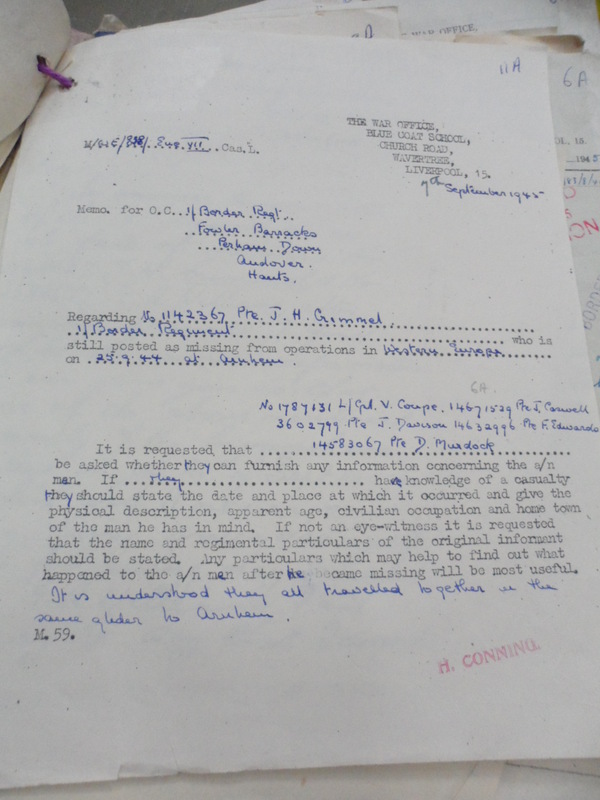 KIA Information:Known to have been wounded and taken to the Battalion Regimental Aid Post in the Dennenoord House, Benedendorpsweg, Oosterbeek, were he died of his wounds, according to MoD records he was buried in or near a wood at Oosterbeek in a collective grave. Next of Kin: Son of Mrs Katherine J Brown of Keswick, Cumberland. KIA Information: Known to have been killed by machine gun fire from a German tank in a wood on the Hoog Oorsprong estate, west of Van Borsellenweg 32, reported to have been killed on 21 September 1944. 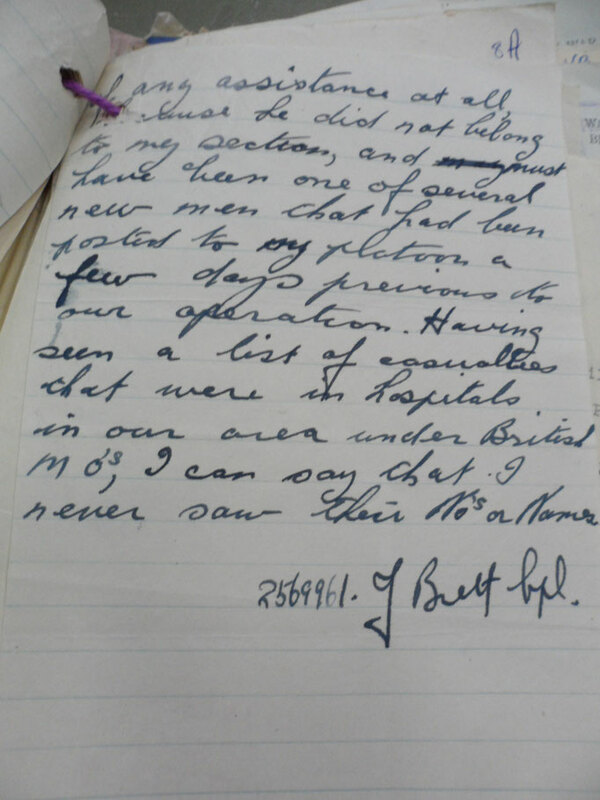 Next of Kin: Son of Henry C and Sarah Ann Jarvis of Sunderland, Co Durham. KIA Information:Reported to have been killed whilst in pursuit of withdrawing German troops in the Westerbouwing area, west of the Restaurant building. 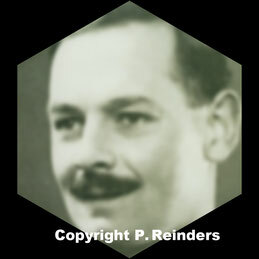 Other source mention him been killed at the Oosterbeek Gas works. 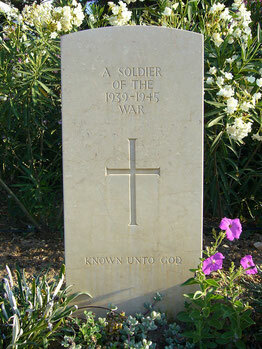 KIA Information:Known to have been buried by members of the Red Cross somewhere in Oosterbeek on 2 October 1944.